Washington –President Donald Trump on Friday blocked the release of a memo written by Democrats on the House Intelligence Committee concerning its investigation into Russian meddling in U.S. election. The memo was written to try to provide context for a Republican memo named after the Intelligence Committee’s chairman, Rep. Devin Nunes. That memo, released last week alleges abuses by the FBI and the Justice Department against the Trump campaign. McGahn said Trump has directed the Justice Department to offer assistance to the House committee to revise the memo. “The Executive Branch stands ready to review any subsequent draft … for declassification at the earliest opportunity,” McGahn said. Members of the House Intelligence Committee, including Rep. Jim Himes, D-4th District, voted Monday to release the Democratic memo. But the committee could not make it public until the White House national security officials vetted it and said it could be declassified. A transcript of the closed-door debate over the memo shows Himes said he did not dispute that the FBI cited a controversial dossier in seeking Foreign Intelligence Surveillance Court permission to wiretap former Trump campaign aid Carter Page. That dossier was compiled, in large part, by former British intelligence officer Christopher Steele and paid for, in part, by the Clinton campaign and the Democratic National Committee. 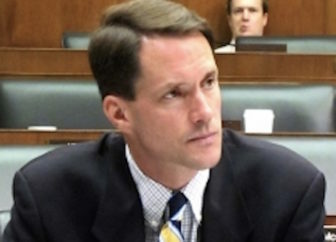 Himes also said, “No one has alleged or proven that specific things in the dossier are completely wrong” and that most members of the committee did not know what elements of the dossier had been used in the FISA application. Himes also pushed back against a claim made in the Republican memo that the FBI misled the FISA court about the source of its information.